Is Your PPSR Report Infallible? PPSR reports, REV checks — whatever you want to call them, they’re an amazing, invaluable tool for those looking to buy a used vehicle. 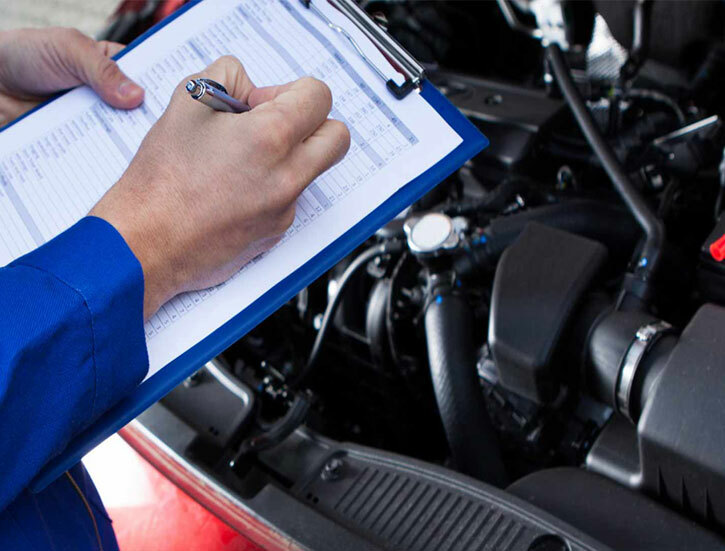 They give you such vital information as write-off history, financial encumbrance history, stolen history — they’ll even tell you if the parts in the car you’re looking at are genuine. Whether the car has been recalled. Car recall notices can come at any time, and often many, many years after the car was first put to market. Many people have found themselves with second hand vehicles that ended up being recalled for safety reasons. For example, since the beginning of March, 2017, an incredible fourteen recall notices were issued by the ACCC in Australia. These were for a variety of safety reasons, from faulty airbags to engines potentially cutting out mid-drive. A good deal of the recalls were for newer model vehicles, but many were for cars dating back to 2003 — and for those who’d rather not be made aware of how old they are, that was 14 years ago. Plenty of those vehicles will be in second-hand ownership by now. So what can you do about finding out if your car was recalled? Unfortunately, no much. Actively searching for safety recall notices is your best bet short of being lucky enough to just find one on a website, in a newspaper article, or on TV. Volkswagen Group: 2008-2009 model Skova Octavias; 2009-2010 Golf, Jetta, Eos, Scirocco and Caddys. Problem: Potential for the anti-lock braking system (ABS) control module to overheat. This can lead to a failure with the corresponding warning light on the dashboard and loss of ABS functionality. Some MY16 and MY17 Golds are being recalled to change tyre information placards. Incorrect placards were used which relate to different tyre and wheel sizes than those on the vehicle. If this information is followed to inflate the tyre, it could effect handling and safety. Audi: A number of A4, A6, A7 and A8 models. Problem: Faulty airbag modules. Some inflator modules and seatbelt pretensioners have been given the wrong ignition agent mixture. This could prevent the units from functioning during a crash. It’s important to note this is a distinct problem from the Takata airbag issue, which you might remember as the issue which caused the airbags to explode. Jaguar: Same as the above with their MY17 and MY18 F-Type sportscars and XE sedans, but these are 2017 models. Toyota: The incredibly popular Toyota Corolla, with models dating back to 2003. Problem: Airbags again. In this case, an incorrect propellant mixture can reduce in volume when exposed to high temperatures for a long time. This can lead to the inflator casing to rupture when triggered. Nissan: N16 Pulsars and Y61 Patrol vehicles. Problem: That Takata airbag issue we mentioned earlier. The exploding airbags from the Takata company have resulted in fatalities overseas, but so far none in Australia. Let’s keep it that way. Mercedez_Benz: E-Class sedans and wagons between April-August 2016. Problem: Incorrectly wired windscreen wipers which can result in failure. This can lead to some pretty serious problems if you’re driving in heavy rain when your wipers suddenly stop working. Problem: The reversing camera has the potential to freeze, making drivers think it’s safe to reverse when it is not. Problem: The sunroof wind deflector can come loose in day-to-day operation. Best case scenario, it comes off and inconveniences someone on the road. Worst case, it shatters the glass while you’re on the highway and showers glass shards on you. BMW: i3 range-extender, between July 2 2014 and December 28 2016. Problem: Fuel tank breather pipe may wear through, releasing flammable petrol vapour into the atmosphere. Problem: Insufficient clearance between the battery cabling and exhaust manifold in some cars, resulting in a potential fire hazard. Problem: Faulty camshafts can lead to the van suddenly stopping. That’s a lot of faulty vehicles! Hopefully yours wasn’t on the list. So a PPSR report/REV check won’t tell you if the vehicle has been recalled. It’ll still give you vital information for finding a used car that hasn’t been stolen or written off, or attached to a loan, or made of dodgy parts. Always be vigilant and be sure to check for safety recalls every few months. You never know when that strange sound you hear in your car might turn out to be something much more sinister.